Is the Justice System Really All That Just in Florida? In 2008, Chase Legleitner of Martin County was charged with two counts of armed robbery for participating in the ambush and mugging of three men during a drug deal. At 19 years old and with a single misdemeanor on his record, he was sentenced to a little less than two years in county jail. Lamar Lloyd of Martin County was charged with two counts of armed robbery for holding up a Pizza Hut and gas station and stealing a grand total of $550 in 2009. At 21, and also with a single misdemeanor on his record, he scored the same points as Legleitner, appeared before the same judge, and received 26 years in prison. The difference between the two men, other than their age? Legleitner is white, and Lloyd is black. Unfortunately, Lloyd is not the only defendant who has received a harsher punishment because of his skin color. An investigation by the Sarasota Herald-Tribune revealed that black defendants who face a judge in Florida are often given a much harsher prison sentence than a white counterpart who committed the same crime. Though there are both state and federal laws in place to keep this very type of discrimination from happening, the Herald-Tribune proves that inequality is very much alive and well in the Florida courtrooms. In its investigation, the Herald-Tribune used two databases to complete its research: one compiled by court clerks and the other by the Department of Corrections. What they found was that such racial disparities in criminal sentencing were rampant throughout the entire state of Florida, and not just in Martin County. In addition to receiving harsher prison sentences, blacks convicted in Florida were also more likely to have their civil rights revoked, preventing them from voting and making it more difficult to do things such as find a decent job or nice housing. Though Florida uses a points system – which takes into consideration a person’s past crimes, whether a weapon was used, or whether anyone was injured – to prevent inequality in sentencing, judges seem to be making up their own sentences based on their own guidelines. Even when defendants score the same points, data reveals that Florida judges tend to sentence black defendants to longer prison stays in at least 60 percent of felony cases. In some instances, a white defendant was given probation for the same crime that a black defendant was sent to prison for. Unfortunately, blacks are subject to longer prison sentences for most crime types, and in nearly every county in Florida. In Pinellas County, a black defendant charged with battery is 67 percent more likely to receive jail or prison time than a white defendant charged with the same crime. For a felony drug possession conviction, a black defendant will receive 93 percent more time than a white defendant. In Hillsborough, black defendants were given 90 percent more time than whites for all second-degree felony convictions, and 43 percent more time for a burglary conviction. When confronted, many of Florida’s judges were shocked by the discrepancies in sentencing. However, the reality is that such injustice does exist, whether intentional or not. At The Baez Law Firm, our Miami civil rights lawyers fight on behalf of all criminal defendants, no matter their skin color, to ensure that they receive a fair trial and fair sentencing. 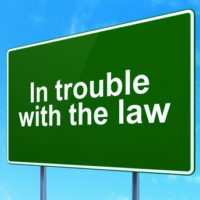 Though we cannot control how a judge rules, by utilizing our extensive knowledge of the law we can ensure that there is no room for question about how much time – if any – a defendant should receive. If you are a black defendant and feel that you were sentenced unfairly, you do not have to sit by and idly accept your punishment. You can appeal the trial judge’s decision, and seek justice from a higher court. Our civil law lawyers will represent you in the appeals process and fight for a favorable outcome. To consult with a civil rights lawyer, call our law firm at 800-588-BAEZ to schedule a free consultation today.